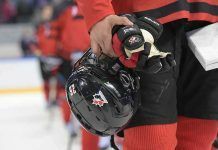 As Canada’s National Women’s Team gets set to compete at the 2019 IIHF Women’s World Championship, the players have issued the following statement in response to the Canadian Women’s Hockey League’s (CWHL) decision to cease operations. “We are disappointed and shocked to learn of the CWHL’s plan to shut down league operations. We are extremely proud of the work that has been done by players, coaches, management, and team and league staff both on and off the ice to grow women’s hockey in Canada and internationally, but it is sad to hear that our league is unable to sustain the positive growth and support we have worked so hard to build. There are many unanswered questions about the future, but we will continue to create dialogue with our teammates, fellow players and leagues. Our priority as players is to move forward and advance the game at all levels, and to ensure female hockey players have a viable league for the future. With focus now turned to the World Championship, there will be no further comment on the matter.